I couldn’t name this a movie review, because its not. 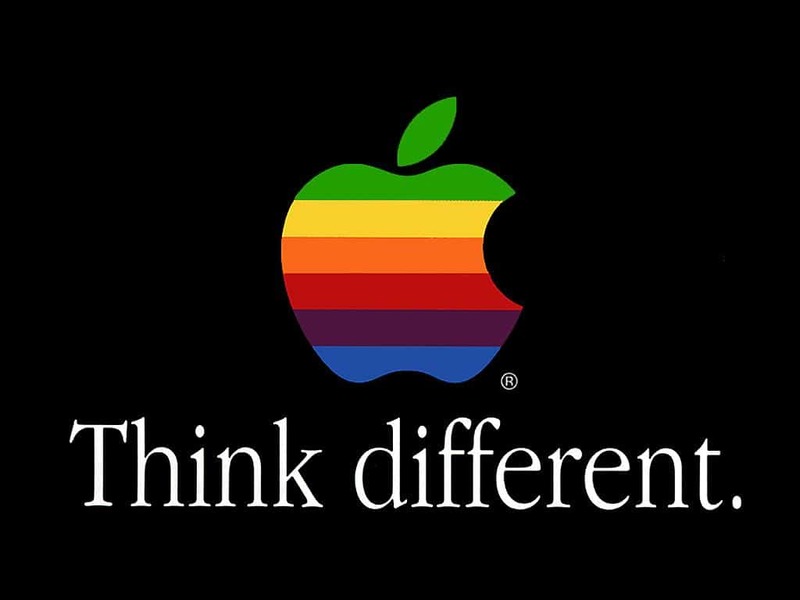 But honestly–movies get my mind thinking, and what better movie to talk about thinking differently than the man who taught us to Think Differently–Steve Jobs. Monday night I saw Jobs … a movie about the innovator of Apple, Inc. And the movie portrays Jobs as a man who risked at nothing to have the unique, the amazing and the creative all come together. And it got me thinking. When I was in 6th grade I remember — i didn’t want to grow up to be a doctor or a teacher. I wanted to invent something. Something totally unique and original. As I get older, original ideas become scarce. People specialized, conformed and fit themselves into their little notch of society–which now includes the “crazies & misfits” of yesteryear. See 21JumpStreet and any 30-40yr old will relate to the main character who realizes what he did in high school 10-15 years ago is now cool. See how the store Hot Topic is more of a trend store than an out of the box idea. And I have had several people tell me how I’m “well-rounded”, the epitamy of the modern renaissance woman, a utility player. All things that are contradictory to what society tells us we must do as modern people. I guess its good to know I’m half way there to my dream. So I asked my husband these questions tonight– Where do you go when the uncool becomes cool? What do you when you want think or come up with something that no one else has? What happens when you’re told what you’re thinking is not possible? Maybe someday God will land that unique, crazy original idea into my head. Until then… I hope I continue to think differently. This entry was posted in Theological ThinkTank and tagged Thought.